All of the best spots to eat in Long Island City. That’s all we could think to ourselves as we took our seats for dinner at the M. Wells Steakhouse. Between the awesomely unique meals that we’d had at their now-defunct diner, and the endless stream of “bone-in” burger and live trout photos coming out of this place, we were ready for a three ring circus of steakhouse stunts. Why else would we venture out to Long Island City to eat a rib eye? What we got instead from the M. Wells Steakhouse was a pretty typical steakhouse experience - a sort of boring one. There are some interesting things going on here, but only really in the context of the restaurant’s location. It’s a beautiful space that was once an auto-body shop, with an open kitchen and a big wood-burning grill. None of that would be particularly out of place in Williamsburg, but in Long Island City, this is a restaurant unto itself. And that’s probably most of the story. The food is pretty good, but we found ourselves missing all that weird we’d hoped for. Sure, there was some powdered ketchup on our grilled wedge salad, and there’s bone marrow in the onion soup, but there were none of those crazy strokes of genius that the original M. Wells was so well known for. Where’s the steakhouse version of foie gras bibimbap? And why am I eating a run-of-the-mill lobster roll? Start things off right and order yourself this Ceasar. It’s nothing you haven’t seen before, but it’s really good. The classic wedge, but lightly grilled and served in gigantic mound form, with flakes of “powdered ketchup” on top. It’s tasty, but also a good example of not quite weird enough. Despite being grilled and powdered, this thing just kind of tastes like salad. A forgettable lobster roll with too much mayo. Don’t bother. M. Wells has a really good selection of oysters on hand most nights, and they serve them to you in a table sized porcelain dish that looks like a bathtub. Points for style, and points for freshness. The cheesiest potatoes you’ve ever had in your life. The most notable thing about this trout dish is that they keep the live fish in a two-ton cement trough in the kitchen. Otherwise this is just a gloppy mess of blue cheese and fish. A pretty good example of whole chicken done right, but we’ve got a lot of those examples around town. Not sure you need to come to Queens for this. Unfortunately, the same can probably be said for the steaks here at M. Wells. They’re certainly using high quality beef, and the wood fired grill adds some nice flavor. But we’ve had better steaks anywhere from Minetta Tavern to Strip House to St. Anselm. You won’t be mad, but you don’t need to trek out to Long Island City just to eat this stuff. Gordo’s is a neighborhood Mexican restaurant near the Queensboro Bridge in Long Island City with solid guacamole and house margaritas. Faun is an excellent neighborhood spot in Prospect Heights serving seasonal, Italian-inspired food. Eat pasta on their patio whenever possible. Maysville is an American restaurant with Southern influences on Broadway in Flatiron. Grab a seat in the quieter back dining room, and you'll be fine. Bar Bolinas is a Clinton Hill restaurant that is very good for one thing: eating a burger outside. 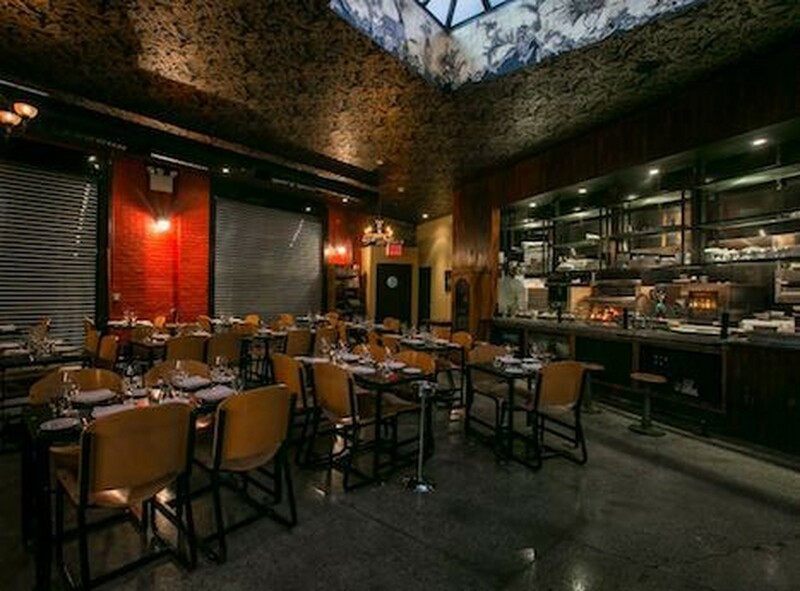 Speedy Romeo is the best restaurant you haven’t been to. Put it on your Hit List and make the trip to Clinton Hill.